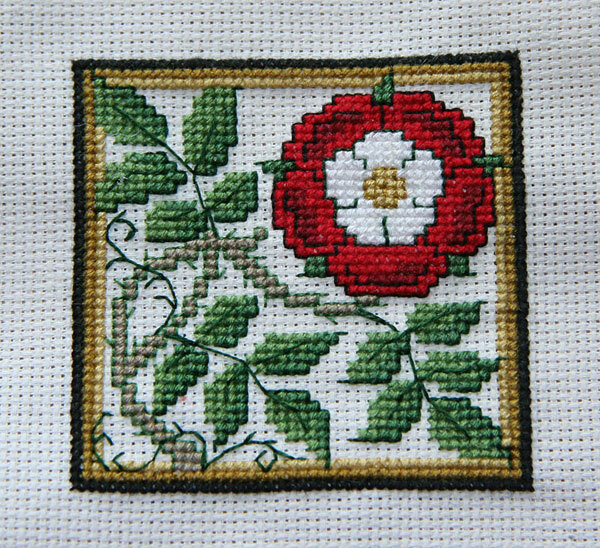 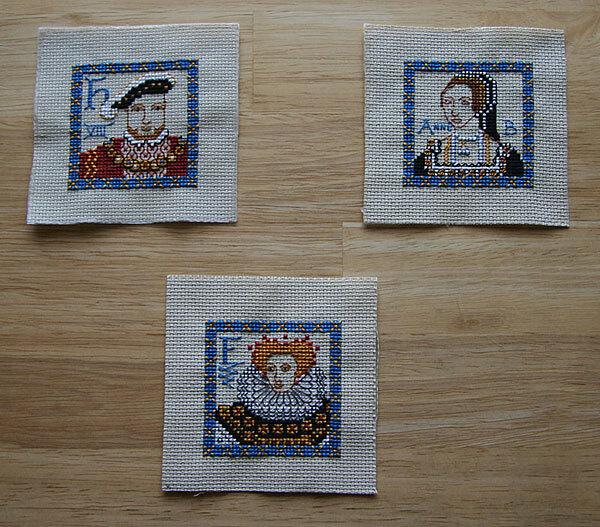 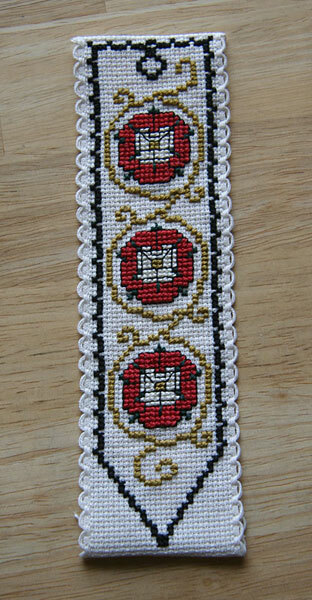 Since I'm supposed to be finishing my Tudor podcast right now and I'm procrastinating, I figured I would post a few of the Tudor-related Textile Heritage kits that I've stitched. 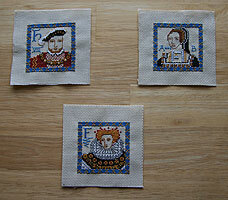 First is the "family" of Henry VIII, Anne Boleyn and Elizabeth I. 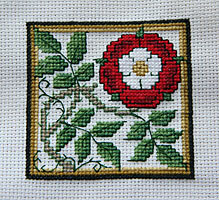 The kits are supposed to be cards, but I'm planning on framing them together.